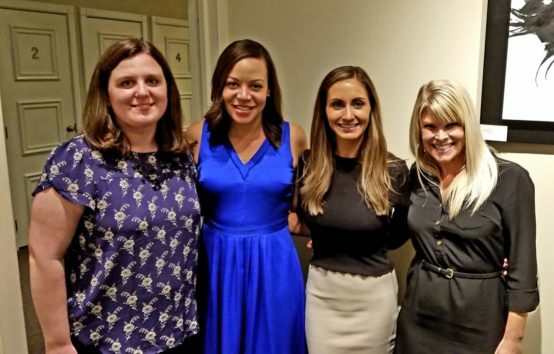 Central Exchange’s Emerging Leaders Program equips women leaders with networking, professional and personal development tools and strategies. This format reflects the 70-20-10 learning philosophy that UMB embraces. The year-long program is a proven complement to internal talent development efforts for influential companies like UMB. 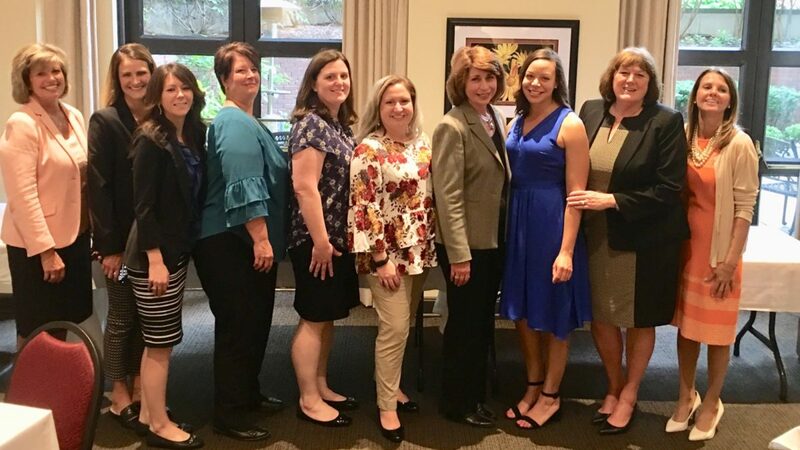 Congratulations to all UMB Central Exchange Emerging Leaders 2018 graduates: Allison Durington, Nicole Livingston, Jessica Thompson, Virda Beermann, Kristen Miller, Renee Lutzen, Kelly Eschweiler, Leisa Kinnin, Jen Houston, Mary Duren, Sara Rock, Katie Hardt and Emily Roehrick. EVP/Chief Strategy Officer Abby Wendel is a 2010 graduate of the program and shares how the Central Exchange Emerging Leaders Program aided in her development. During the experience, I developed a general rule of thumb: to only propose a topic twice in a business setting (an initiative, new idea, specific perspective, etc.). If rejected a second time, I let it go. I’m naturally tenacious, so this was a tough lesson for me to learn, but it is now something I try to be mindful of daily. Transitioning from being in a management role to a senior leadership role was harder than I thought. It took specific planning, reflection and trial and error, for which the program helped me prepare. My experience in the Central Exchange program taught me that some of my behaviors were getting in my way. I know now these are called “blind spots.” This program helped me uncover my blind spots and address them before they became derailers. One of my cohorts approaches leadership very differently than I do, but I respect her approach greatly. To this day, I will call her to bounce around a difficult idea because I know she will offer another perspective. Even thinking about what she would do helps me see situations differently. In short, the network I developed through the program has proven to be priceless. VP/Manager of Consumer Card Underwriting Emily Roehrick is a 2018 graduate of the program and shares why female leaders should take advantage of development opportunities. There are many female leaders across vastly different industries who experience similar situations. Learning from them through their stories was a remarkable opportunity. It was a privilege to meet so many exceptional women. I think it’s important for all leaders to continue to develop and enhance their leadership skills. 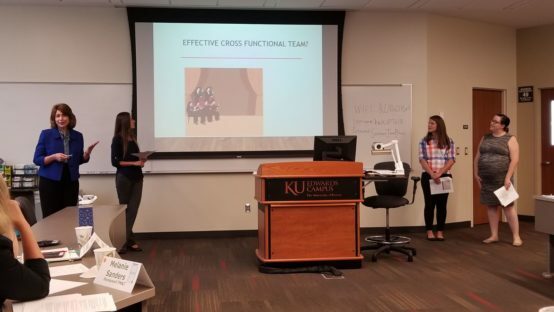 However, women lead differently, and this program is tailored in a way that brings awareness to those differences as strengths, not weaknesses. Women need to understand their strengths and embrace them. SVP/Customer Experience Strategist Amy Mendenhall is a 2017 graduate of the Central Exchange Emerging Leaders Program. Amy was unsure of what to expect from the program, but now encourages other women to participate. I’ll be honest. At first, I wondered why gender mattered in leadership development. Yet, before the first meeting started, a woman next to me shared a funny story about her morning that involved dropping her kids off at school and then taking a conference call on her way to the meeting, with an amusing mix-up in between. Her crazy morning experience was hilarious – and something I could fully relate to. By the time we had finished introductions that first morning, I knew… “these are my people.” The truth is, there are some unique nuances for female leadership and having the opportunity to explore those challenges with other women was incredible. Schedule time for personal development and hold that time sacred. The group met only once a month, which sounds very manageable. However, I often found myself wishing I could reschedule because I was facing a deadline or had a challenge with a project that needed my immediate attention. However, I would leave every session feeling grateful I invested the time. It becomes easy to put off learning and development, but soon you’ll find that months have passed and that book you really wanted to read is collecting dust or that topic you were curious about is still an unknown. Our Central Exchange group met on the third Thursday of the month. To this date, I still have that time blocked on my calendar and I hold it as sacred time for me to review my personal growth and set new goals for the following month. Learn more about the associate experience at UMB and current career opportunities. Not ready to apply? Become a UMB Insider to stay in touch.